We’re big fans of both Aeph and Lifted here at the Dojo so naturally news of fresh material piqued our interest! Ahead of the next crop of Lifted releases Aeph has been on the 1s and 2s and recorded a fresh mix showcasing a horde of tasty new dubs. The mix is available on Soundcloud and Bittorrent, and as a bonus you can pick up the whole Aeph / Lifted discography from Bittorrent for a pay what you like basis! Can’t say fairer than that. Check out the mix below and go give the man a buck or two for his previous tunes. Jade’s Eatbrain continue their quest to bring us the biggest, baddest neurofunk in the game with four huge new tracks from Spanish producer Kung. Fans of the label’s output know what to expect here – precision engineered neuro tearers locked, loaded and primed for the dancefloor. Check out the clips below and watch out for the EP dropping on vinyl from November 3rd, with Beatport release following on November 10th and full worldwide digital release from November 24th. Italian future-funk don Aeph returns to Chris Renegade’s Lifted Music imprint with a cracking double-A side featuring more of his high energy neurofunk beats. Fall For You opens things up with a full-on hands in the air intro featuring the vocal talents of Tasha Baxter before dropping into a big gnarly bass workout that never stops shifting. This one has main-room written all over it, and it’s a bit on the cheesy side, but the engineering is undeniable, and sometime s a big cheesy banger is just irresistible. Flipside Seadrome treads similar ground but dials the cheese-factor back a little in favour of a heavier hitting combo of big breaks and squelchy bass morphs, with an insistent chord progression adding to the energy. Dirty vibes! Check out the clips below and grab this one from your favourite digital store from October 27th. 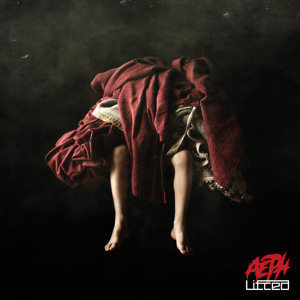 Aeph returns to Lifted Music after the storming success of the Black Hoax single with a five track EP of futuristic neurofunk belters. As with previous releases the level of production detail on show here is staggering, and the balance between musicality and dancefloor sensibilities is finely tuned. ETV builds tension nicely with orchestral samples and arpeggianated leads before dropping heavy snares and massive growling bass, teasing with a half-time beat in the first half before building up to a full tempo drop in the second. True Motion concentrates more on bass modulations, while still letting the synth leads peak their head into the mix for character. Back To The Jungle showcases Aeph’s obvious affinity with 80s synth work, with a distinctly Night Rider-esque lead on the intro giving way to more warped neurofunk at the drop. Crusade dials things back slightly for a more groove-based approach, with rhythmic sub hits really driving the tune underneath catchy, bright synth work. Finally Aeph Is Dead drops the tempo for a surprising slice of funky electro house complete with slap bass! Check out the tracks below and watch out for this dropping from March 24th. Teddy Killerz get on the 1s and 2s for the latest episode of the Eatbrain podcast, delivering 68 minutes of rolling neuro goodness. The mix is packed full of new material from Teddy Killerz (including a bunch of new Bad Taste dubs) alongside beats from the likes of Audio, Aeph, Mefjus, Mindscape and Gridlok. Hard and heavy from start to finish, get to know! Hot on the heels of Memtrix’s excellent Numbers single comes the latest from the Lifted Music camp with a pair of tasty tunes from Italian producer Aeph. Maksim (who Lifted fans will recognise from his contribution to last year’s Struggle and Pain) steps up to provide vocals on Black Hoax, vibing off the distinctly glitch-hop into nicely. You’d be forgiven for thinking Lifted was toning things down…til the drop hits; huge squelchy neuro bass and synth stabs give the tune it’s character while synthetic drums drive things along at a hefty pace. On the flip Hudson Hawk keeps the energy high with another rolling drum break and some seriously 80s synth action on the intro; Night Rider on speed? Bass modulations a plenty give the tune movement and weight in equal measure and the vocal sample adds bite before the tune drops into euphoric chords on the bridge. Aeph has mastered his craft on this release, treading that neurofunk tightrope with finesse; high production values while retaining grit, and tons of energy without descending into Skrillex-esque hyper-wobble. Check out the clips below and grab this from your favourite digital outlet now! Unless you’ve been hiding under a rock somewhere since 2006 it seems unlikely that you won’t have heard of Lifted Music. Starting early with a succession of classic releases from the likes of Spor, Evol Intent Ewun and Apex, the label had a quiet patch for a bit but has recently had all guns blazing once again with a slew of great releases over the last few months and plenty more to come. Late last year the label came out with a seriously tidy EP in the form of From Roots To Wings. Featuring massive, futuristic tech-funk from Aeph, Memtrix, Neonlight, Receptor & Infuze, the release was all about dancefloor stompage and it delivered that by the spades. Not content with that, Lifted squeezed out a 4 track EP from Neonlight just before Christmas with more heavy yet melodic tunes. Computer Music in particular has barely left my sets recently. Not content with dominating the drum & bass scene, Lifted have just dropped a high quality Dubstep release from Meta with his second EP for their Lifted Dub arm. Delivering far more melody and production value than much of the over-saturated 140 BPM market but still retaining that futuristic Lifted sound, this is definitely worth a look. Just in case you needed any further encouragement, here’s a classic from the back catalogue, Spor’s Knock You Down from LFTD001. Check it out, and grab the releases from the Lifted Store!